Added by Deborah Baber-Savalla on April 5, 2018. This clinic is held specifically for displaced residents of Ventura County. 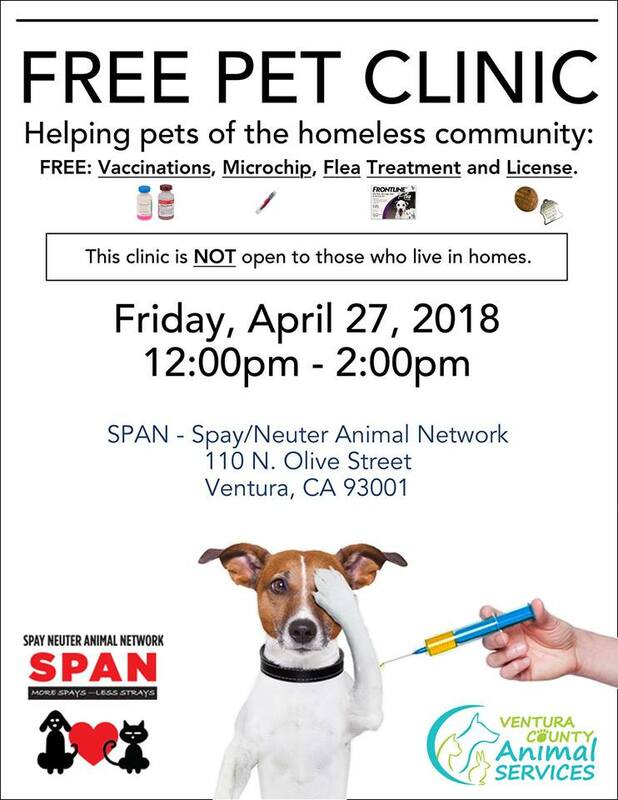 This is a partnership between Spay Neuter Animal Network – SPAN and Ventura County Animal Services to provide free pet services to the homeless community. If you are homeless and you have pets, you are invited to attend this event. Your pet will receive their vaccinations, a microchip implant, flea treatment, a pet license which is proof of rabies vaccination, and a new collar and leash if you would like.